Of all the strange things we saw at the 2011 Comic Con, the one I was not prepared for was Snow White — in armor. From Disney cartoon to dark war story? It’s true, and there are two Snow White movies coming out. The first, starring Kristen Stewart (Twilight fame) involves the damsel in distress turning into an armed warrior (movie site). 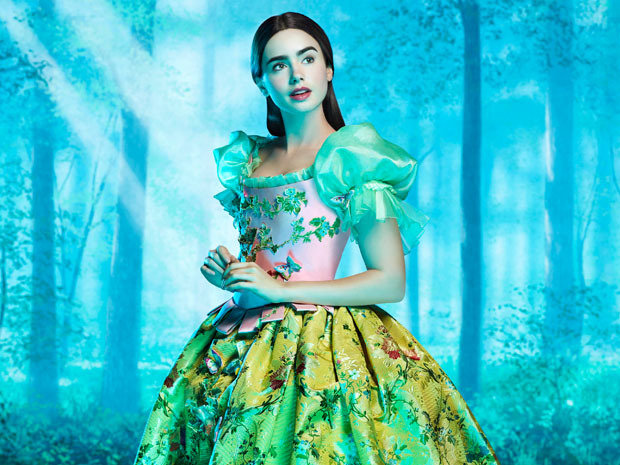 The second involves Lily Collins (daughter of Phil Collins) in a Brothers Grimm dark twist, possibly to tell the story in its original grim form. It’s still a bit early for more details but both are slated for a mid-2012 release. Probably somewhere around the release of the Batman and Spider-Man movies. The story at Comic Con was one of competition between the Snow Whites, which one will win?